Dr. J.D. Crouch II was elected by the USO Board of Governors to be the 23rd President and Chief Executive Officer of the United Service Organizations (USO), effective July 28, 2014. 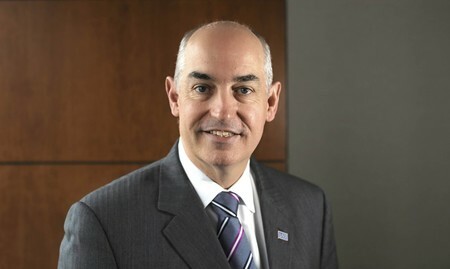 Dr. Crouch was Chief Executive Officer of QinetiQ North America (QNA) until May 2014, when he exited following the successful divestiture of QNA by its parent company. He was President of the Technology Solutions Group of QNA from November 2009 to March 2013. He assumed this role from the position of QNA Executive Vice President for strategic development. He was Assistant to the President and Deputy National Security Advisor from March 2005 until June 2007. In this capacity, he was a senior advisor to President George W. Bush on national security matters and chaired the sub-cabinet Deputies Committee. Dr. Crouch served as U.S. Ambassador to Romania in 2004-2005, managing this complex relationship at the time of Romanian military deployments to Iraq and Afghanistan. Dr. Crouch also served as Assistant Secretary of Defense for International Security Policy from 2001-2003. From 1993 to 2001, and late 2003 to 2004, Dr. Crouch was an Associate Professor of Defense and Strategic Studies at Missouri State University in Springfield, Missouri. He co-founded PalmGear.com in 1995, the Internet’s leading source of Palm OS software. From 1990 to 1992, Dr. Crouch was the Principal Deputy Assistant Secretary of Defense for International Security Policy. From 1986 to 1990, he was the military legislative assistant to Sen. Malcolm Wallop and served as the senator’s staff designee on the Senate Armed Services Committee. From 1984 to 1986, he worked for the Assistant Director for strategic programs in the U.S. Arms Control and Disarmament Agency and was an advisor to the U.S. Delegation on Nuclear and Space Arms Talks with the former Soviet Union. Dr. Crouch has also served on several government advisory boards, currently including the Defense Policy Board. He has twice been awarded the Department of Defense Distinguished Public Service Medal. He received the Alumni Merit Award from the University of Southern California in 2006 and Military Merit Grand Cross with White Ribbon from the Kingdom of Spain in 2003. He served pro bono for 10 years as a reserve deputy sheriff in southwest Missouri – where he was named Missouri Deputy Sheriff of the Year in 2000 – and was a member of a multi-county special response team. Dr. Crouch also served as an adult leader to a scout venture crew and as a Boy Scouts of America Assistant Scoutmaster. Dr. Crouch holds a Ph.D., M.A. and B.A. in International Relations from the University of Southern California.